Surfrider’s Ocean Friendly Restaurants program has seen dramatic growth in 2018, expanding to about 250 participating restaurants across the nation. The majority of these restaurants, which are voluntarily agreeing to cut their use of single-use plastics, are brought on board through on-the-ground education and awareness work done by local Surfrider volunteers. 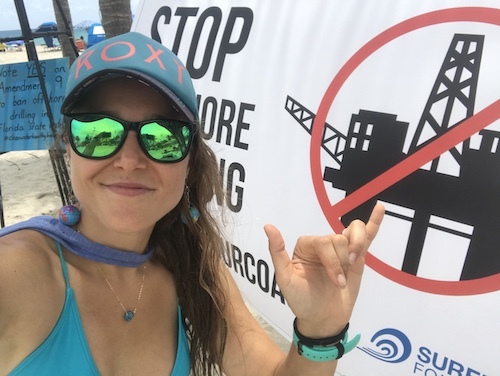 In Hollywood Beach, Florida, our Broward County Chapter and St. Thomas Aquinas (STA) High School Surfrider Club have teamed up to tackle the plastic pollution issue at their local beaches. Although there is an ordinance on the books banning disposable plastic food service products in establishments located east of the Intercoastal Waterway, enforcement has been non-existent and therefore, take-out containers, plastic bags, cups, lids and straws are frequently found on area beaches, waterways and in the ocean. 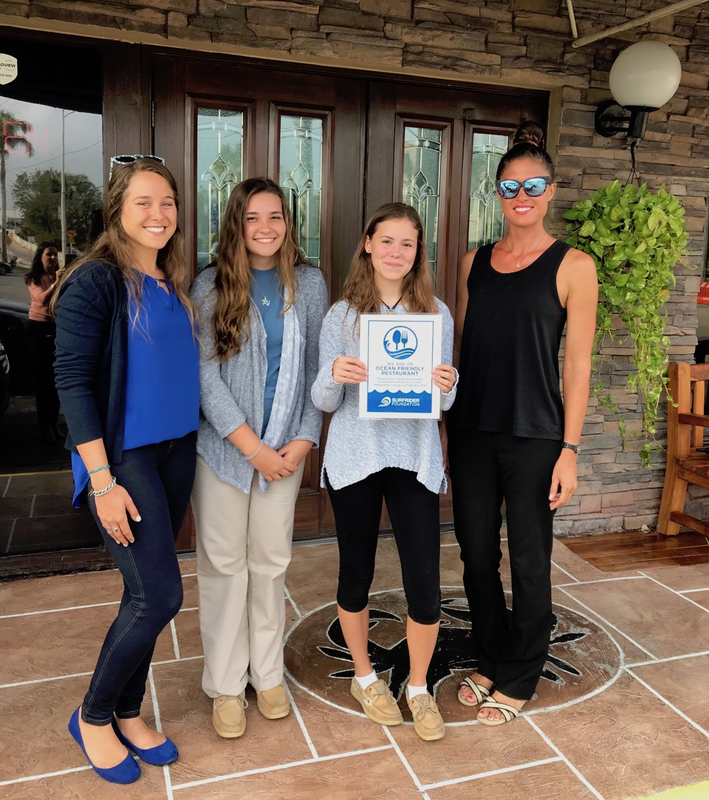 Not wanting to stand idly by, our Surfrider chapter and club team, lead by Morgan Knowles, OFR Coordinator for Broward County Chapter, and Emma Kavanaugh, STA Surfrider Club founder and president, decided that using the Ocean Friendly Restaurants program would be the perfect tool for educating local businesses and encouraging behavior change and ordinance compliance in a positive, business-minded manner. So far, they’ve signed up five restaurants to the OFR program with plans to bring in many more! 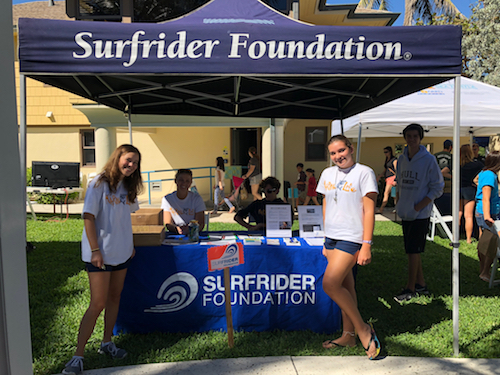 In addition to providing solutions and building awareness on plastic pollution issues in their community, this partnership is a shining example of how Surfrider chapters and student clubs are stronger and even more effective when working together. The local chapter, finding that youth are often listened to even more closely, have leveraged the energy and passion of the STA Club members in meetings with city officials and business owners to highlight just how important this issue is to the next generation and local community. On the club side, partnering with their nearby chapter has provided opportunities to learn about running events, building a program and given them hands-on training on direct-action advocacy work. Leadership experiences like this are key for helping develop the next generation of coastal defenders, which is a major underlying goal of our student club network. Check out a recent interview with this dynamic duo on what inspired them to launch an Ocean Friendly Restaurants progam in Broward County! Why did you want to take on the Ocean Friendly Restaurants program? What inspired you? Emma: I think it's just a great program because some people aren't concerned about the environment so this is an opportunity to educate in a way that gives positive feedback. People will learn through the OFR program marketing materials and social media, which I think is going to help motivate a lot of people. Morgan: In Broward, we have a really intense plastic pollution issue that stems in part from the restaurant industry. Our recycling efforts, or lack thereof, in the county also inspired me to take action. I found out about Surfrider’s Ocean Friendly Restaurants program right when I finished my master's thesis on marine debris where I was analyzing local plastic pollution issues. In my research, I saw first-hand the debris plaguing our first, second and third reefs and local beaches. I found the ordinance that we have on the books that was in place since 1996, which essentially bans all disposable plastic wares at all establishments east of the Intercoastal Waterway in Hollywood Beach, but even with that in place, there has been no enforcement and there is debris everywhere. So, I took the reins and decided, "you know what, nobody's going to do it unless we do." I grabbed all my Surfrider teammates and we devised a plan. It was a slow start, but now that we've got some traction, it's turned into quite the monster and it's really cool to see how it’s snowballed. How long has the program been running and how many restaurants have you signed on thus far? Morgan: We currently have five restaurants signed on, and a sixth that has registered but has not yet met our standards for compliance to be fully onboard. We’re waiting for them to work through some plastic products they’ve already purchased, so they're on the backburner until they meet the OFR standards. We’d been working on the OFR program for about a year before we found the fruits of our labor. We had a lot of people that were super interested but weren't really taking the dive. We realized we were coming from the scientific and conservation perspective and not necessarily speaking the same business-minded language of these restaurants. We had to shift the conversation to aspects of the program that would immediately resonate with them like saving on costs, reducing waste, doing less work, and saving time. Emma: We got feedback from the Hollywood Beach City Green Team that we'd have to speak in terms that restaurants will understand and show that this program will benefit them, their bottom line and their customers. 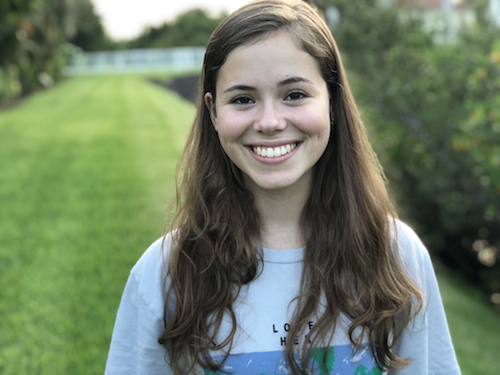 Morgan: We created an Ocean Friendly Restaurants presentation with Emma and her St. Thomas Aquinas High School Surfrider Club crew and presented to both the City of Hollywood green team and the City of Fort Lauderdale sustainability board. It was amazing because they both gave us really great feedback on how to adjust our presentation to better speak to restaurant owners. Those savvy business-minded people really changed the tide of this movement for us. What have you found out about how restaurants are concerned about reducing their environmental impact? Morgan: It's funny because it's split into three different factions. We speak a very similar language to the vegan restaurant crew because they often already come from a sustainability background. For them, they are usually doing it out of the goodness of their hearts, but are super stoked when they learn they could save money too! Then there are the restaurants that genuinely understand the positive environmental impacts of being an OFR, but are much more focused on the cost savings. For them, we start with cost savings and weave in the education as a secondary benefit. The third faction are the restaurants who are beginning to realize they are at risk of being fined for noncompliance under the city ordinance. For them, the catalyst to join the OFR program can be to reap the benefits of us helping them through the process of reducing their single-use plastics. The education comes in as part of that process. Everybody's now on the same page even if the motivation was different for each one. Emma, as a student and club leader, do you feel like restaurant owners are listening to you more closely or that you have an extra layer of persuasiveness as a student? Emma: I think that people are more willing to listen to kids, so I'm going to try and train a lot of my club members so we can go out on our own and talk to restaurants. Many people just aren't educated on this issue, so by going out and talking to them, we are helping them to take action and educating them not only on the impacts of plastic but how being a part of OFR can benefit their business too. Morgan: It's really funny to see how people react to students versus older generations. By having the youth come and help, restaurants owners see that these kids really do care about this issue and this is something they should be paying attention to. When the kids are speaking, it just clicks with people and they see that these kids are so aware and they’re so involved, and it just blows them out of the water. It’s really great to watch them grow and explore their own styles of becoming ocean stewards. By preaching on serious issues that are going on in our county and in our oceans, and people see that these students are the ones at the forefront of the fight with us, that's when I think a lot of the light bulbs go off. What has partnering with the chapter meant for you personally, your growth as a leader and for the success of your club? Emma: Because we're able to work with Cat and Morgan and the Broward County Chapter, we're able to figure out how to start these conversations and how to get people on board with the OFR program. Working with the chapter has taught us a lot about how to approach people, how to run events and how to educate others. What has been the biggest challenges for starting the OFR program both at the chapter and club level? Emma: It's difficult trying to get my club members on board because they're interested in all of this, but everybody has sports, school work, and extracurricular activities, so they just don't have much free time. Also, trying to get restaurants on board in general is challenging because they have to switch suppliers and some people don't want to go through all of that. Now that we have our pitch down and can explain what the benefits are, I think that'll help a lot on the business side. The main roadblocks for me is having enough time to get my core members to go out and talk to restaurants. Morgan: Even at the chapter level, that's a roadblock for us too. Everybody can only dedicate so much time, so making sure that we're using our time effectively, have our materials and pitch dialed and making sure everybody understand their roles. Having more hands on deck makes for a much easier and smoother ride. This one's just for you, Emma. What do you have planned for this summer or next school year? Emma: I wanted to try and get more club members on board! My school actually has a marine biology club and at the beginning of the year there are 300 students and my club is more like 15. So I want to try and get more of the marine biology people involved so that we can do more and I want to help enforce the plastic reduction ordinances. I want to go to more city meetings and work to have those ordinances enforced and I also want to try and get a straw ordinance drafted. I also just want to train my club members to go out to the restaurants so that they can do it on their free time and we can secure as many Ocean Friendly Restaurants as possible! Morgan: It's really incredible as a community, everybody is coming together from all walks of life and we've got this one common goal to protect, to clean up and conserve our ocean, coasts, and this big giant blue thing. I'm just super proud of our student club and our chapter for how far we've gone in the past couple of years. We've started a huge movement in our county, where people look to Surfrider for answers, guidance, and leadership and it just makes me feel very proud to be a part of it. Want to get involved? Find a chapter or student club near you at Surfrider.org or support our coastal defenders at Surfrider.org/support-surfrider!